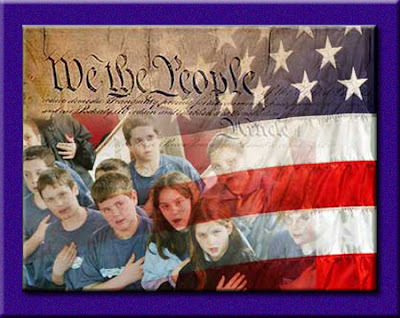 Macon County Patriots: What Are We Doing? Speaking of Freedom: What is the source? There have been some destructive issues lately and I've had a hard time understanding the underlying sources behind the purposes some people have to try to harm or do damage to those in the trenches. On November 2nd, We The People spoke loudly and, as my husband puts it, accomplished the beginning of a cleansing across America. When I cast a vote it is not for an (R) or a (D) behind someone's name. It is for the person who BEST represents my values and my hopes for America. I'm a farmer's wife. I don't know the complex details behind how our government works. I'm just now learning and understanding how the political dance goes in Jefferson City. I can't even imagine how hard it is to get into a position and make a firm stand against the status quo, fight for the return to the Constitution to be followed as the only law of our land and remain encouraged during the political battles they face daily. What I do know is that it's not as simple as moving into a new office and flicking a switch and everything is exactly how we want it. The progressives have been infiltrating and infecting our government at every level for 100 years now. It has only been 2 years that We The People have been waking up and making a stand and less than 2 months that our newly elected representatives have been in office. I do believe we have to hold their feet to the fire and I want them to know we're watching, but the evidence I see contradicts the accusations I see getting hurled through emails and social networks. I see bills being put together and introduced strengthening our state sovereignty, I see pushes organized to have federal funds returned to Washington DC so that we're not bound to federal authority, I see Senators not backing down from the fights they stand firm on to remove government intrusion on our families and returning the power and responsibility back to The People. The evidence I see is that they are doing exactly what my vote & support gave them the power to do. This same disappointment applies to the attempted damage I see lashed out at fellow Patriots, those working hard and giving so much of themselves to educate and represent We The People in this fight. I haven't really figured out how to express what I see currently going on and my disappointment in how much damage just a few loud voices can do. This week I received my copy of The Culpeper Press (which I highly recommend subscribing to). In the current issue a highly respected Missouri Patriot wrote an article that spoke my heart loudly. I couldn't have put the words together to express it as well as he has so I am re-posting his full article here. I hope it helps others to redirect their energy in support of those who work so hard on the front lines. It's going to take all of us working together to rebuild what the progressives have tried to tear down. We are doing things as activists that have not been attempted since our Republic first began. On that note, we should study every single great leader in history. What were their common traits? Righteous anger? Check. Poker face? Check. Stealth against the enemy? Check. Perseverance? Check. Encouragement that occurs from victories, so it keeps the soldiers motivated for the next battle? Check. Unwavering focus? Check! Did their traits include hysteria? NOT! Was there a turn on comrades because one disagreed with their methodology? NOT! Was there emotion ahead of levelheadedness? NOT! Distraction ahead of strategy? NOT! In fact, one thing our Founding Fathers were careful NOT to do was eat their fellow patriot, so to speak, because they had a disagreement(s) about fundamental differences over how to move our country in the right direction! 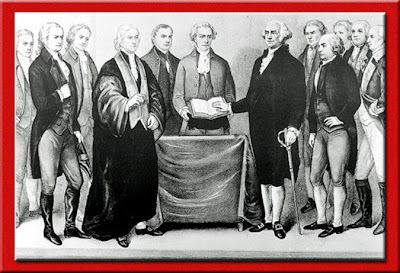 The authors of our U.S. Constitution were not only creating the Republic. They were also representing various individuals and businesses in their respective home states. We must remember that our legislators are elected by a broad base of constituents. And just because an individual(s) approaches them with issues important to them, they may not get what they are looking for every time. But please, be courteous! We must accept that not everything we want to accomplish is going to be our success. Not because a legislator isn’t sympathetic to our ideals. The legislator needs to maintain balance as a representative of their district’s citizens too. If the conservative legislators aren’t even elected for a second term because they demanded their way each time, how far will we get?. So many of our new legislators had all these good people work at length to get them elected. We worked hard because WE are all patriots in the same fight. Never forget that our Founding Fathers did not throw their colleagues under the buggy because they had a furious debate while drafting the Constitution. After all, it was “THEIR” CONSTITUTION. THEY WERE ON THE SAME SIDE. The Left would love nothing more than for us to fight amongst ourselves. 10 years ago, most of us were on our own, wondering how we could change the system. Now that we have found each other, lets STAY with each other and work for the big picture. The minutia of how we get there is not nearly as important as just getting there! What say you? Mr. Todd resides near Jefferson City, and is a grassroots organizer with Show-Me Tea Central and Co-founder of the Capital TEA. Contact him at liberty4all2@yahoo.com.